Wollongong Wolves Football Club, have continued their aggressive off season build up, announcing the addition of former Hull City professional, player and coach, Neil Mann to their coaching team. Neil played 209 games for the famous black and whites in a remarkable career spanning almost 10 years, and transitioned into the coaching ranks at Hull on his retirement for a further 10 years, holding the roles of Youth Recruitment Officer, Centre of Excellence Manager, Professional Development Phase Coach and Head of Academy Coaching. “Football has been a huge part of my life and I was fortunate once my career on the field ended I was able to continue and stay involved through the coaching ranks. Guiding the next generation of players and being able to pass on some of my experience and knowledge has been thoroughly enjoyable and rewarding.” Neil said. In 2013, Neil, wife Lucy and children Callum and Maisie, emigrated to Australia where he continued his coaching career as the Program Manager/Development Manager at Bossley Park High School.  With Neil’s expertise and experience coupled with his qualification as UEFA class A coaching licence, Sydney FC swooped and appointed him head coach for their under 18s for the 2015/2016 season. While a significant part of Neil’s initial engagement will be focused around providing Jacob with advice and support, and overseeing the roll out of the football program for all senior coaches, Neil will also be involved in the entire football coaching operations of the Wollongong Wolves with his role expanding over time to take in the juniors and junior coaches and also assist in best practice and development programs for SAP players and SAP coaches. “Players, regardless of age or standard must never forget they play the game because they love the game. This is the cornerstone of any program or initiative you roll out. The more you love the game, the more you will improve and progress. Football provides many valuable life lessons and if you play the game for any reasons other than love and passion, then you are missing out on the most important aspects of a long and successful career. Antelmi has spent the off season training regularly to have himself in the best possibly shape for 2017. Timpano has been very impressed with Antelmi’s commitment and dedication and has no doubt Antelmi’s enthusiasm and hunger will have a very positive influence on the club. “While many footballers use the off season to relax and unwind, Patrick has just focused on his preparation and is probably the fittest he has ever been. He trains every day and the footballing public are going to see what an incredible talent he is. Patrick’s work ethic and determination to succeed are the ideal messages for all aspiring footballers and will have a particularly positive impact on many of the younger players in our team. Many believe it is simply only a matter of time before Antelmi secures himself a Hyundai A-League contract and with quality strikers always a valuable commodity, The Wollongong Wolves Football Club know securing his services will greatly enhance their prospects in the chase for silverware. Dean Merola. Wollongong Wolves Director of Football, praised the club’s new addition. “Being able to attract someone of the quality of Patrick, at quite a deal less than what some of the other clubs were offering him, proves we are building something very special here, on and off the field. We have proven we can attract the high calibre players and with Patrick now a part of our Wolves family, our team for 2017 is looking very strong. It’s also particularly a great reflection on Jacob Timpano, as he was instrumental in reaching the agreement with Patrick who was very keen on continuing his development under Jacob’s guidance”.